Machine Learning (ML), Artificial Intelligence, Deep Learning and Data Science are some of the trending technologies of today that are persistently changing the course of our lives. There’s lot to discuss about them, however, in this post we are going to remain focused on ‘ML Engineer’ prerequisite skills i.e. what skills can make you a thriving ML engineer. There are scores of definitions online for ML, well to put in a layman’s term – ML is all about making the computers to perform intelligent tasks without openly coding. In ML, computers learn from the experience. Data plays a central role in defining the work of ML. To have a machine work intelligently, one needs to feed a lot of data. It is data that, in real sense, trains the computer for predicting outcomes or understanding patterns. 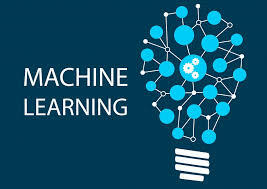 Some of the common ML examples are: detection of spam email, recognizing handwritten digits [9 + 1 = 10 (that’s right)], fraud detection in online and banking transactions and so on. Having understood the concept in simple words, let’s see what the top 5 skills are to get a ML Engineering job. Under this tab, basic understanding of Probability, Statistics, Linear Algebra, and Calculus is required. Probability and Statistics: A close look reveals that ML has good proximity to Statistics. You need to know the basic elements of Statistics and Probability Theory, Baye’s Rule and Random Variables, Descriptive Statistics, Probability Distributions, Sampling, Regression and Decision Analysis, and Hypothesis Testing. Linear Algebra: You should be fairly well-versed with Matrices and some basic operations on Matrices, such as Matrix Addition, Subtraction, Scalar and Vector Multiplication, Transpose and Vector Spaces, and Inverse. Calculus: Understanding of Differential and Integral Calculus is required. This skill is as good as data analytics which involves the ability to work with large amounts of data (especially big data), data pre-processing, data categorization and data cleaning. Immense rudimentary knowledge of SQL and NoSQL is needed at the first place, along with ETL (Extract Transformation and Load) operations and visualization tools such as Matplotlib. ML is mostly about algorithms. Take grasp over Supervised and Unsupervised ML and then you will have better understanding of some of the popular, yet common, ML algorithms such as Linear Regression, Decision Trees, Logistic Regression, Random Forest, Clustering (K Means, Hierarchical), Neural Networks and Reinforcement Learning. You have to do lot of coding for ML, well you cannot ignore the need of libraries and frameworks to ease your work. Some of the popular libraries are Matplotlib, Scikit Learn and NumPy. On the other hand, you should be familiar with popular ML frameworks such as, Azure, Caffe, Tensorflow, Microsoft CNTK, Apache Singa, and so on.